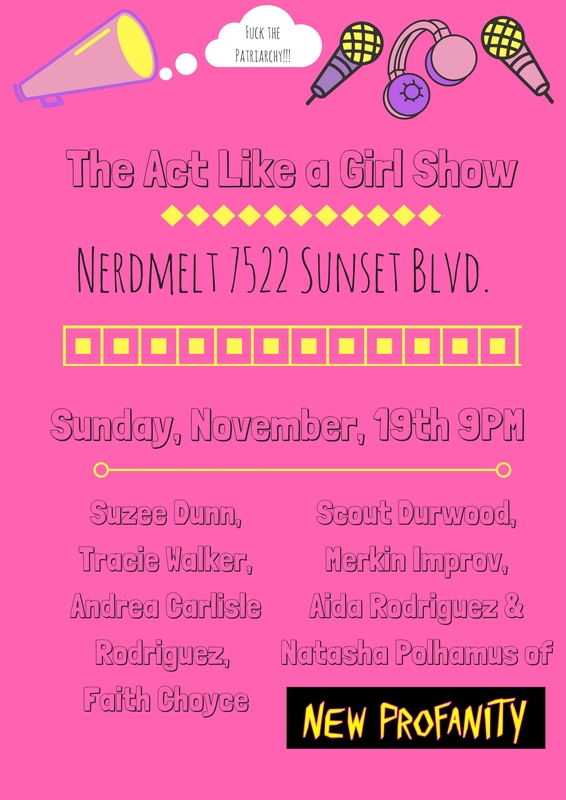 The Act Like a Girl Show brings you a night of interviews, stand-up, improv, and musical comedy written and performed entirely by women and gender non-conforming humans in a fun, inclusive and safe space for all of us to laugh at ourselves! This month you will receive a raffle ticket with each purchase of a ticket for a chance to win something from New Profanity!! There will also be a mini New Profanity pop-up in the back of the theater. Our show always passes the Bechdel Test, come on out and Act Like a Girl with us!